Warning: If you are under 18 you should ask your parents if you can view this site. Click here to watch Windows 45 second video that shows where Satan came from. Click here to watch 30 second Windows video showing burning bodies in hell. Click here to watch a video clip that tells how people choose to go to hell. 3 minutes in Quick Time player. 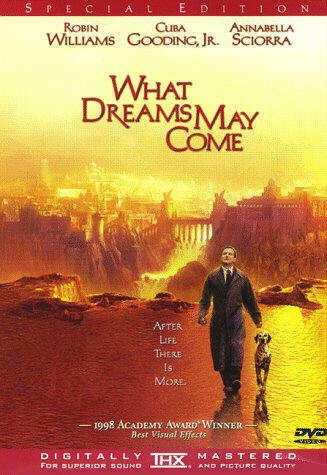 Click here to download 5 meg "mov" file and watch advertisement for the Film "What Dreams May Come" staring Robin Williams and Cuba Gooding. Though the maker of this site does not agree with many things about this film I like the way it attempts to show the contrast between Heaven and Hell.